IMM Cologne 2012, already a good start! We are preparing a good and solid show for january 2012, when we will be back at Cologne for the international furniture fair. 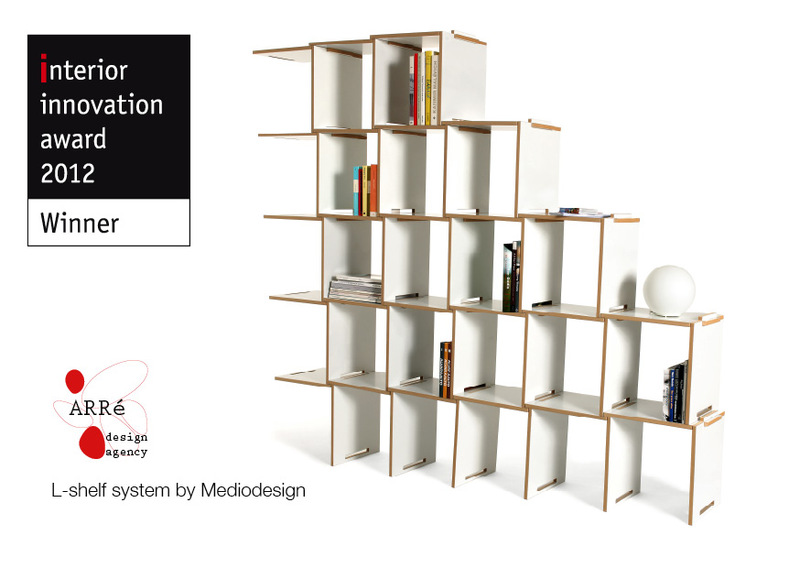 Among the things that we have done was to send Mediodesign’s product L-shelf system to competition for the Interior Innovation Award, an award organised by the German Design Council. Did we really get surprised this week when we heard that L-shelf was among the winners? Well, yes, a little bit. But we were confident that Juan Pablo Quintero’s brainchild had everything to get through to the final rounds. So far, L-shelf, launched by Arré and designed by Mediodesign, has won its first award. It its still competing for the “best of the best 2012” award, due for final award ceremony on january 16th 2012. Of course, this will give Arré the opportunity to show L-shelf twice at IMM Cologne, at our own booth and at the innovation boulevard. Already a good start!